Research also shows that “attachment parenting” children become better parents themselves. Every night, you’re lying with child at bedtime to help your little one sleep. You know that without you around, your child won’t be able to fall asleep – it’s a habit you’ve cultivated since he or she was a newborn. Is this bad? Do people tell you not to do it? Are you worried you’re spoiling your child? Well, it turns out, attachment parenting – emphasizing physical support and comfort to your children, making them feel safe when they need it – is actually a good thing. Things like sleeping together, baby wearing or feeding baby on demand aren’t actually spoiling your child, but will help them when they grow up. 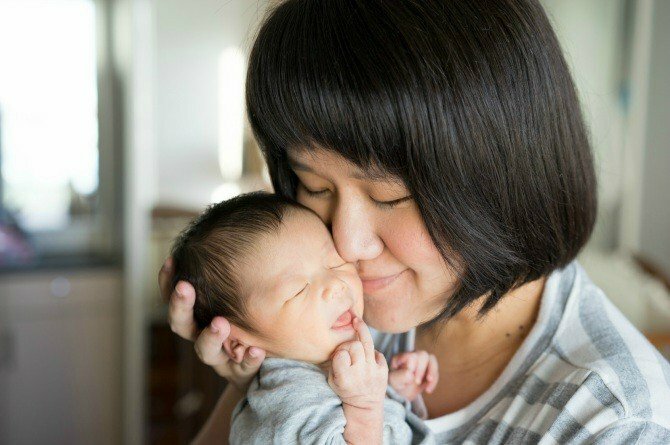 Susan Krauss Whitbourne, Professor Emerita of Psychological and Brain Sciences at the University of Massachusetts Amherst believes that attachment parenting is beneficial for your children. In her 2013 article published in Psychology Today, she wrote that scientific studies have found that adults who grew up attached to their parents live happier lives with reduced conflict. There is research suggesting that they become better parents as well. In one Harvard University 2010 research by Patrice Marie Miller and Michael Lamport Commons, “The benefits of attachment parenting for infants and children”, finds that these children growing up handle stress better and are less likely to suffer from mental health problems later in life. The research also addressed children who look for parents when they are in trouble seeking to be consoled. While we feel that the child becomes more spoiled, research results show children (under emotion regulation and secure attachment) perform better in school and easily make friends. While we believe that attachment parenting makes the child clingy, the opposite actually rings true. A child without the confidence that someone will be there when she needs them actually ends up more clingier. Alternatively, kids who are very attached to their moms become more independent when they grow older. Children attached to their parents end up happier, and less likely to fuss or have behavioral issues. Because of this, they spend more time learning new thing and interacting with the world around time. Instead of wailing, these children become more alert about their environment. The brain develops rapidly in your children’s tender years. Studies find that parents skin-to-skin contact with their kids promotes positive brain development in their little ones. Dr Sears believes that attachment parenting “feeds” your baby’s developing brain with the right stimulation. Just because you want to be closer with your kids, doesn’t mean they feel the same way. Your younger one might be able to sleep on his or her own without you around, compared to the older sibling. On the flip side, if you’re not into attachment parenting, you shouldn’t force yourself to do so. Because everyone is different, you have to try different things to connect with your kids. Their needs and wants from you will continue to change as they get older. For now, just remember that when your children need you, be there for them unconditionally. Likewise, when they want their own space, give them the chance to be independent.